The hands and one prepared piano. Brazilian music, dance, visual arts, all together in a very unique performance. The work of PianOrquestra is originated from a long academic research, based on the techniques of prepared and expanded piano, made by John Cage at the beginning of the century. Applied in a playful and creative way, they result in a pioneering work in Brazilian popular music. The group has been impressing audiences and garnering a great deal of attention from the media because of its quality and originality since its debut in August 2003. With the release of the DVD in 2007, the group has achieved a very unusual media return for the intrumental music business quality. They were on the main page of the Cultural Notebooks of the newspapers in the cities which they’ve performed. PianOrquestra stands out for its originality and quality with a work involving four pianists, a percussionist and a prepared piano. Considered one of the “10 best concerts of the year” by Jornal O Globo; in 2016, was awarded the highest score of the 3 Americas to participate in the Classical Next showcase in the Netherlands; has been on a full house concert tour in the main capitals of Brazil (Rio de Janeiro, São Paulo, Curitiba, Brasília, Belo Horizonte). Piano, drumsticks, guitar picks, nylon strings, rubber sandals, metal, wood, fabric and plastic pieces, PianOrquestra explores the infinite possibilities of timbres and sonorities produced by the piano, transforming the instrument into its own orchestra. PianOrquestra is musically directed by the renowned pianist Claudio Dauelsberg, who performs alongside the pianists Amanda Kohn, Nathália Martins, Veronica Fernandes, and the percussionist MAKO. The group explores in an unprecedented way the ethnic elements of the Brazilian roots, in virtuous interpretations, without giving up the sensitivity, delicacy and lyricism, in a repertoire that contains samba, ciranda, maracatu, among other Brazilian rhythms mixed with contemporary world influences. The group has participated in TV shows such as Fantástico, Altas Horas, Faustão, Programa do Jô, Partituras, Terra Brasilis (MusicBox Brasil), Start (GNT), Instrumental Sesc TV, Jornal O Globo, Canal Curta, among others. Awarded by Rumos Itaú Cultural and by Telemar in 2005, the group is a constant presence in important stages and music festivals all over Brazil. The group already has two DVDs released with great success and recognition of the public and media, crowding theaters all over Brazil. The group has a repertoire that includes from composers like Tom Jobim, Bezerra da Silva, Milton Nascimento and Toninho Horta, to even own compositions in regional Brazilian rhythms. The work of PianOrquestra is the result of an intensive research of Brazilian rhythms that goes through till the origins of coco based on Dona Selma do Coco, passing by the ‘Maracatu de Baque Virado’ from the Maracatu Nation Crowned Lion, the ‘cirandas’ and ‘cirandeiros’ of Rio Grande do Norte, the ‘carreteiros’ of the Samba School Mangueira, the ‘repente’, among other rhythms of Brazil. Master in Piano Performance by UFRJ, specialized in arrangement, composition and Applied Technology Languages in Music by the Berklee College of Music, phD in Music by UniRio, where he teaches. Claudio Dauelsberg is constantly in demand as a pianist, arranger, composer and curator. Claudio has 6 CDs – Bach CD, recorded with the Chamber Orchestra of Moscow was awarded the Nord Deutsche Rundfunk and the CD “Além das Imagens” was nominated for Sharp Awards – and a recorded DVD. Claudio has performed with Placido Domingo, Bob Mintzer, Bireli Lagrene, Toots Thielemans, Chick Corea, Márcio Montarroyos, Hermeto Pascoal, Nico Assumpçao, Arthur Maia, Carlos Bala, Marcos Suzano, Jacques Morelembaum, Toninho Horta, among many other musicians of MPB. 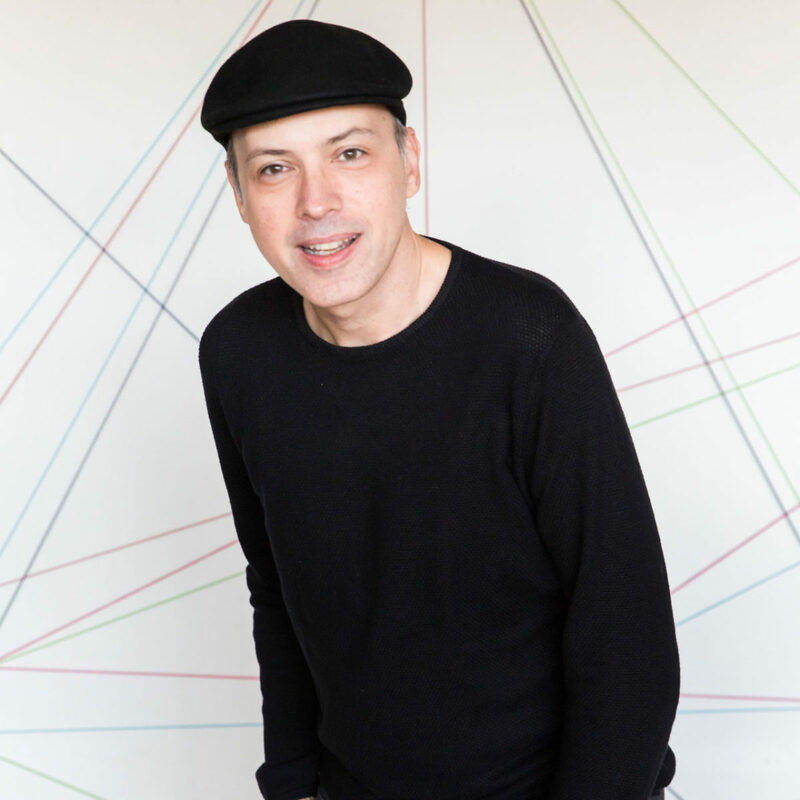 Since 1998, Claudio is extremely active as a curator of projects in music, having idealized events ranging from the creation of winter festivals at some cities in the state of Rio de Janeiro, leading to these major names of Brazilian music, in addition to supporting local artists, innovative in contemporary instrumental music, in the national and international scenario. Verónica Fernandes is a Portuguese pianist who began her studies in classical piano at the age of 8, at the Conservatório de Música do Porto (CMP). 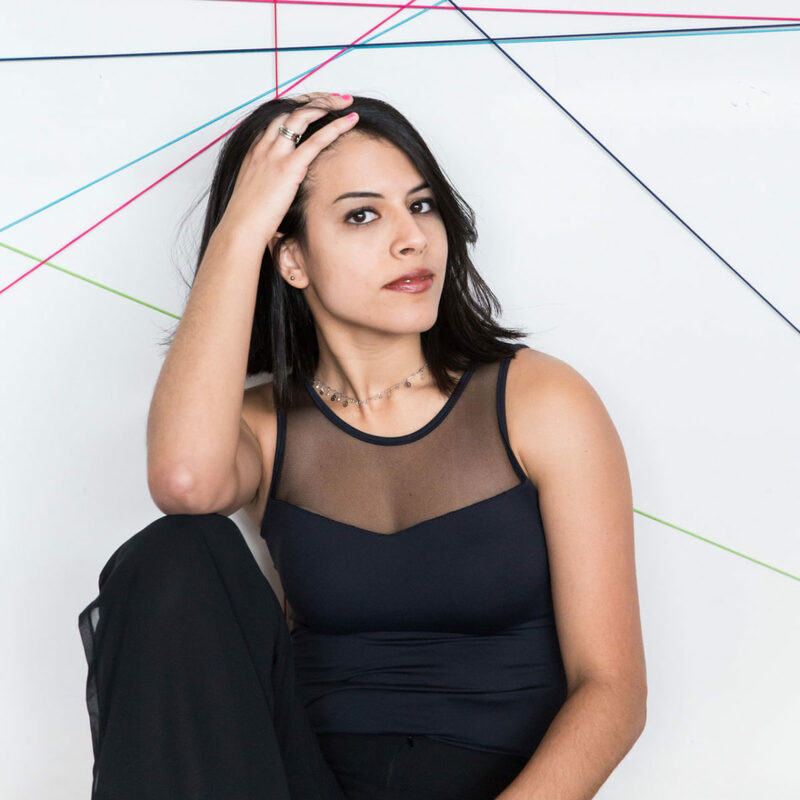 She has been a member of the Jazz Orchestra of the CMP for two years, having performed in emblematic spaces such as the Palace of the Port of Porto and the Centro Cultural de Belém (Lisbon). 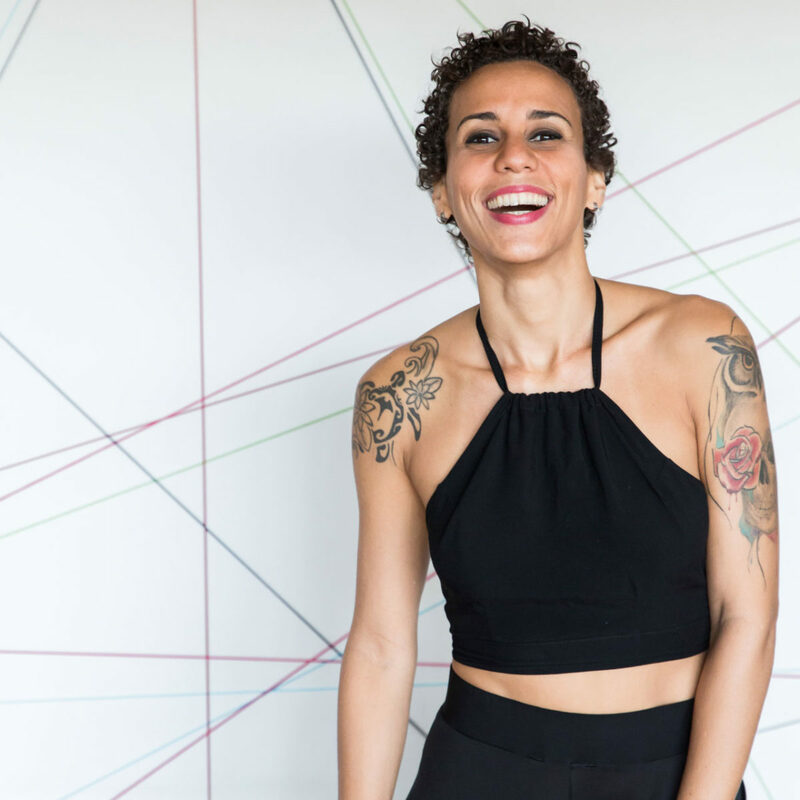 In 2012, her taste and curiosity for the rhythms and popular Brazilian manifestations brought her to Rio de Janeiro, where she has resided ever since. Here she was able to deepen his passion for choro, samba and MPB, and go beyond this musical scene in Rio, maintaining his interest also in the rhythms and dances of Frevo, Maracatu and capoeira. In Rio de Janeiro she works in the field of classical and popular piano, having performed as soloist in Sala Villa-Lobos and Casa do Choro; as a correspondent, she integrated, over a year, the opera workshop at UNIRIO, under the guidance of Carol McDavit; in musical theater he acted in the spectacle “We will always have Paris”; as keyboardist, participated in the Carnival blocks of Batuque das Girls and Electric Thriller. She currently holds a bachelor’s degree in piano at UNIRIO under the guidance of Erika Ribeiro, having been a student of Maria Teresa Madeira for 3 years. MAKO - the artistic name of Masako Tanaka - is a singer and percussionist from Kobe, Japan, and settled in Rio de Janeiro since 2001. In her native country she sang Bossa Nova, Jazz and Fado but ended up falling in love even with Samba – rhythm who met through Clara Nunes – and from then on she created the group “Teleco-Teco”, with whom she performed singing sambas in Kobe, Osaka and Kyoto until her coming to Brazil. Since then she has been raising a repertoire with works by some of the most renowned Brazilian composers, such as Cartola, Wilson Batista, Ataulfo Alves, Noel Rosa, Chico Buarque and Zé Keti, among others, in an accurate research work. After a few years in Brazil, she decided to sing Brazilian songs with a carioca way. The result surprises the audience by the fact that a Japanese woman dedicates herself to singing sambas immortalized in the old redoubts of Rio de Janeiro with originality. MAKO performs as a singer and percussionist in the main capitals of Brazil, Japan and in several countries, always spreading Brazilian music. MAKO’s musical trajectory was recorded in documentaries for Cinema in Brazil and TV in Brazil and Japan. Born in Rio de Janeiro, Amanda Kohn began her piano studies at age 11. Currently attending a bachelor’s degree in piano at UFRJ, she improved her technique with Professor Ronal Silveira and today she is under the guidance of Professor Luís Senise, one of the most renowned in the country. Throughout almost 10 years as a musician, she maintains an active life with several prizes in contests, recitals, participation in great music festivals as well as masterclasses where she took classes with great names of the artistic scene like Luca Chiantore, Nikolai Lugansky, Alexandre Dossim, Tim Ovens, Michael Uhde, Roberto Domingos and Vivian Hornik Weilerstein. Amanda also participates in professional projects such as the “Nocturnes” project, involving lectures on Chopin and her work in several universities, as well as the Pianostudio in Leblon, where she is currently a teacher. Nathália Martins has a degree in Music and a Masters in Interpretive Practices from the Federal University of Rio de Janeiro (UFRJ). She has had international experience with an university semester of exchange at the North American University ECU, East Carolina University (NC), through the Music Alive project in 2010. As a pianist he has already performed in Rio and abroad, as solo, orchestra, popular music and musicals. Nathália has been perfecting herself over time and currently also teaches in music schools and regular schools teaching theory and piano lessons. She was directed by pianists such as Ronal Silveira, Rafael Vernet, Luiz Senise, Helena Marinho, Fany Solter, Lúcia Barrenechea, Érica Ribeiro, Luiz Carlos de Moura Castro, Michael Uhde, Keiko Sekino, Ryan Hanseler, Carrol Dashiel and Claudio Daulsberg. Awarded in over thirty national and international competitions, Marina had her first contacts with the piano by her mother, in Cascavel. Since 2002, she lives in Rio de Janeiro, where she completed her graduation in Music at UFRJ accompanied by professor Luiz Senise. She’s currently pursuing her master degree in Musicology at UNIRIO, under professor Dr. Carlos Alberto Figueiredo. Frequently participates in music festivals , courses and master classes in Brazil and abroad, where she has contact with important teachers like Arnaldo Cohen, Eduardo Hubert, Menahem Pressler and Natalia Troull. In early 2005, she studied for three months in Karlsruhe, Germany under the guidance of Professor Dr. Fany Solter , through a scholarship obtained through the Great CONEM 2006. She received encouragement from the German government to continue her improvement in the same institution. Marina has frequently been invited to perform in front of orchestras in Brazil, as the National Symphony Orchestra, Youth Symphony Orchestra of Brasil, Symphony Orchestra of USP, Symphony Orchestra of the Music School of UFRJ and the American Symphony Orchestra, and in these concerts, she had the opportunity to work with leading conductors such as Bernardo Bessler, Carlos Lima, Ernani Aguiar, William Bernstein, Ligia Amadio and Ronaldo Bologna. 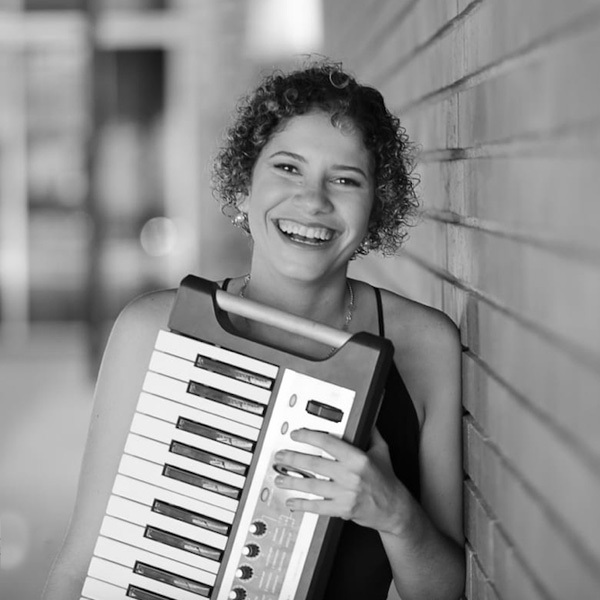 Pianist, accordionist, arranger and composer, Priscilla Azevedo holds a Bachelor's degree in Piano from the Federal University of the State of Rio de Janeiro - UNIRIO and postgraduate degree from Candido Mendes University. She is frequently requested as a pianist and accordionist with orchestras such as: Rio de Janeiro Symphony Orchestra, UFF National Symphony Orchestra, CESGRANRIO Symphony Orchestra. In 2016 he was part of the Jazz International Master Class of Accordion Modern Jazz, with Victor Prieto, in Ourense – Spain. She participated in several International and Musical Festivals as accordionist, pianist and member of the orchestras, such as: International Festival of Campos do Jordão, International Festival of Brazilian Colonial and Old Music, International Choral Festival of Latin America. Frequently asked to do musical direction and arrangements for singers like Allyson Castro, Lucia Helena Weiss, Renata Celidonio, among others. In the cinema she recorded the track of “Gaby Estrella, the film” and “The bumbling Saltimbancos: Towards Hollywood”. She participated as pianist and accordionist of the recording of discs by the Biscoito Fino (Brazil) and GEMA (Germany). Verônica Bonfim works as a teacher in the socio-environmental area and is a bragging artist. Singer, composer, writer and actress, born and raised in Bahia, she reconciles her artistic and environmental career since 1994. She has lived in Rio de Janeiro since 2006. He is Doctor Scientiae in Forestry Science, Federal University of Viçosa – UFV-MG; is formed by the basic course of the School of Music Villa-Lobos – RJ; plays guitar and percussion; practice capoeira, bodyboarding and skate long; made vocal preparation with Nina Pancevski, Roberta Lima and Marília Costa; theater and body training with: Fátima Toledo, Artistic Atelier, Grupo Tá na Rua of the director Amir Haddad and with the singer, composer and director Oswaldo Montenegro, with whom he has been working since 2007. In 2007 he recorded his first CD Olhos d’África (independent); He has a blog of poetry [http://negalxenta.blogspot.com.br/] and a series of videos titled ‘Minuto Sustentabilidade’ on his You Tube channel, with tips on environment and sustainability.She has accumulated works in TV, cinema, theater, literature and music and experience with directors such as Aderbal Freire Filho, Amir Haddad, Cláudio Segovia, Oswaldo Montenegro, Jaime Álem, Jaques Morelenbaum, Tim Rescala and Ciro Barcelos. Anne started his music studies at the age of 4 with her mother. She has Bachelor's degree in Music at the School of Music of the Federal University of Rio de Janeiro (UFRJ) and a postgraduate degree in Piano Accompaniment at the Brazilian Conservatory of Music - Centro Universitário (CBM-CEU). Anne started his music studies at the age of 4 with her mother. She has Bachelor’s degree in Music at the School of Music of the Federal University of Rio de Janeiro (UFRJ) and a postgraduate degree in Piano Accompaniment at the Brazilian Conservatory of Music – Centro Universitário (CBM-CEU). It has as complementary training the course of harmony and the course of improvisation in CIGAM. In 2001, she began to accompany students and singers for presentations at the Teatro Municipal de Macaé, where she also performed. Anne studied in the area of the erudite piano with Marina Spoladore and Luiz Senise, currently studying with the pianist Ronal Silveira. In the area of popular piano, she has studied with Stella Junia and Jeff Gardner, currently studying with pianist Rafael Vernet. Amberget has worked in the areas of classical, popular and contemporary piano in Brazil and abroad and already performed at the Municipal Theater of Rio de Janeiro with the PianOrquestra group, directed by Claudio Dauelsberg, during which time she participated in the recording of the Multifonias DVD. She worked as a substitute teacher at the Federal University of Rio de Janeiro (UFRJ) in the area of popular piano. Now, Anne is currently studying the Master Degree in Interpretive Practices at the Federal University of Rio de Janeiro (UFRJ).